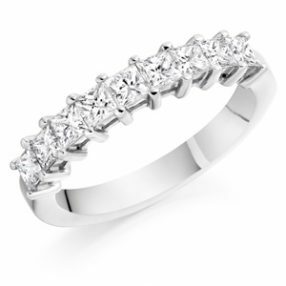 Featured are some our most desirable choices of half eternity rings. 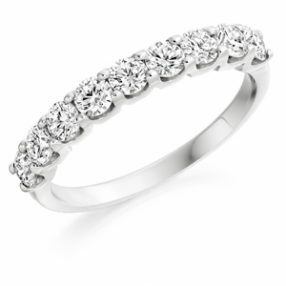 The half eternity ring typically consists of five diamonds and more – in a range of diamond shapes and can also feature coloured gem stones. 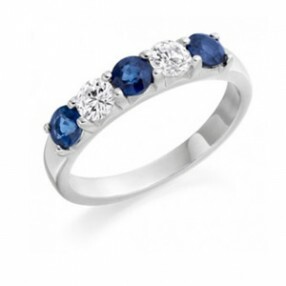 It is most traditionally bought as a gift for the birth of you first child – or as an ideal anniversary gift. 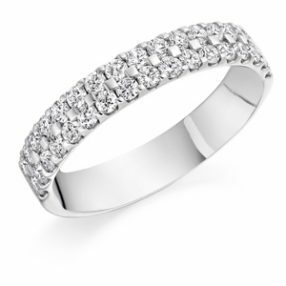 This is a small selection of our half eternity rings, so please visit us in store so we can guide you in finding the perfect ring to compliment your engagement and wedding rings. 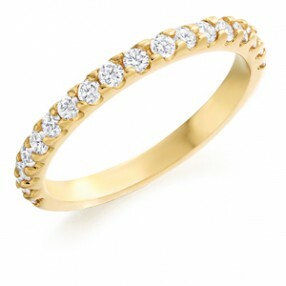 Eternity rings are the perfect way to show how much you love someone, for whatever the occasion, anniversary, birthday or the birth of your new baby. 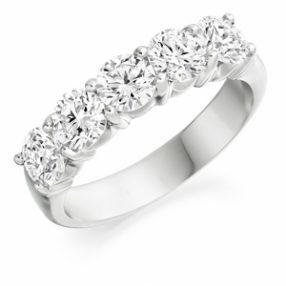 Here at Madison we have a large selection of full or half eternity rings in all diamond or with coloured stones. 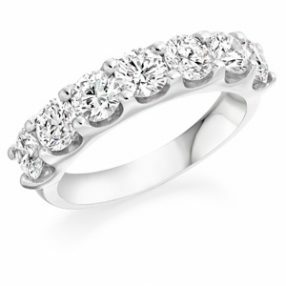 All rings are available in platinum, 18ct yellow or white gold, in a style thatâ€™s perfect for you.